BAD STAGING: 5 tips to avoid it! When it comes to selling your home, is staging important? According to the National Association of Realtors in November 2015, staged homes sold for 17% more than non-staged homes and 95% of staged homes sold in 11 days or less or 87% faster than homes that were not staged. Good staging is a great return on investment! Isn’t all staging good? Definitely not! I have a motto. Good staging beats no staging BUT no staging beats BAD staging. Bad staging will cost your sellers time and money. 1.Most agents have access to a number of stagers but probably have a relationship with one or two. Ask to see examples of their stager’s work. What is your reaction to the stager’s portfolio or website? If it is negative, then demand to use another stager. 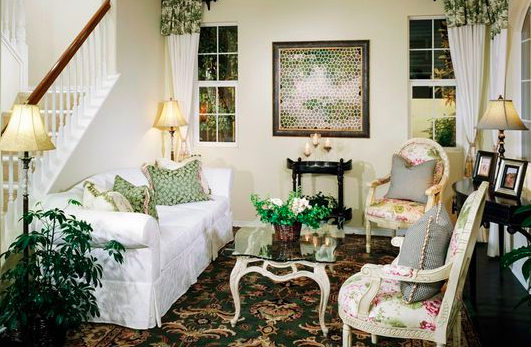 Generally, the seller pays for staging, you are not obligated to use the agent’s stager. 2. Bad taste, ugly furniture, running wild with a theme…that is a sure road to a long stay on the market. While good staging will be attractive and somewhat neutral so that the buyers can picture themselves in the home, bad staging will do the opposite. Avoid period themes (Deco, MidCentury, Victorian). If you must, limit choices to one or two period items and furnish the rest of the home with an inviting attractive contemporary style that will appeal to the majority of the buyers. That is your goal, to make the house appealing to buyers, not to be an ode to a decade. 3. Make sure any furniture that you leave out in the home looks good. Get rid of the flowery sofa and the garish pillows. Buyers can be turned off by clutter, kitsch, and too much color. You don’t need to be bland and beige, but keep in mind that bold color choices will deter more buyers than attract them. 4. Declutter, finish the room and invest in some art. Keep the house immaculately clean. 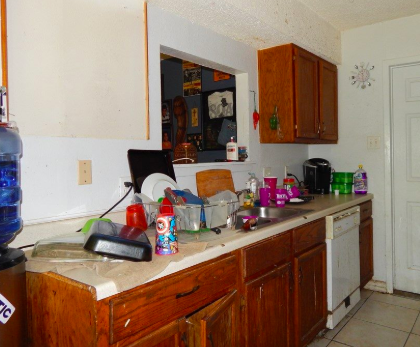 No buyer is attracted to dust bunnies and untamed personal junk. Clean out, clear out or rent a storage space. Is one half of the room looking great but the other half is undone? Rearrange and finish the project. Pull the clutter off of the shelves and arrange some books and items grouped in odd numbers. Just as your furniture should be attractive, the artwork and objet d’art should be attractive as well. 5. Gauge the neighborhood. Is the listing in an expensive neighborhood? The furniture better not look cheap. The stager needs to help sell the lifestyle. Do each of the rooms look like they have a clear purpose? Don’t be wishy washy, your staging should define the space. There are no mystery rooms in staging. I provide a free session with a trusted stager who can give you some simple advice for preparing a home for the market and make sure that the home is photo ready whether the home will be staged by that professional or the client’s own furniture is utilized. When the return on invest for good staging is $400 for every $100 spent, it makes good dollars and “sense” to invest in Good Staging. Be proactive and engaged and make sure that your staging is selling your house and not keeping it on the market. It also makes good dollars and “sense” to work with a REALTOR® who will make your home sale simple, straightforward and profitable. I’m ready to help you with all of your real estate needs.